The Policy Team will be responding to Defra’s Biodiversity Net Gain consultation and we need your expertise! The Net Gain consultation is seeking views on how we can improve the planning system in England to protect the environment and build places to live and work. Net gain is an approach to development that aims to leave the natural environment in a measurably better state than beforehand. Development that adopts a biodiversity net gain approach seeks to make its impact on the environment positive, delivering improvements through habitat creation or enhancement after avoiding or mitigating harm as far as possible. We’re particularly interested in feedback from those with expertise in biodiversity metrics and habitat restoration. Expertise on specific species, such as great crested newts, is also welcome. • Draft an answer – We encourage you to draft responses to questions that are relevant to your work. • Submit evidence – If you would like to get involved but are unable to provide us with a draft answer, we are happy to receive other forms of evidence. This can be in the form of a list of peer-reviewed journal articles or bullet points summarising research. • Review the response – You may also offer to review responses drafted by the Policy Team and contributing members. We welcome feedback and suggestions, supported by relevant references, to fill any evidence gaps in our responses. If you would like to contribute to our response, please get in touch with the Policy Manager, Brendan Costelloe by 22nd January 2019. 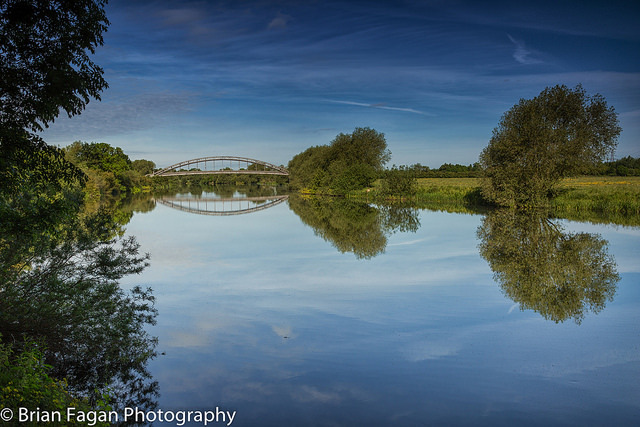 Photo credit: River Trent by Brian Fagan available here.